I’m such a grocery nerd. I love everything about grocery shopping…especially saving money on groceries. If I’ve only talked to you once, we probably talked about grocery shopping (or cats) in the first few minutes of our conversation. It just happens. I’m not alone – it’s not unusual to have a phone conversation with my sister where the first thing she says is, “I got such good deals on my groceries today!” We even filmed a video about saving money on groceries! Previous Post High Five For Friday, Peaches and Pizza! I’ve been grocery shopping for more than forty years and I still enjoy it. Recently the Winn Dixie’s in our area closed out an organic brand, Full Circle: I bought 12 oz. honey bears for $1.20; pure maple syrup 12 oz. 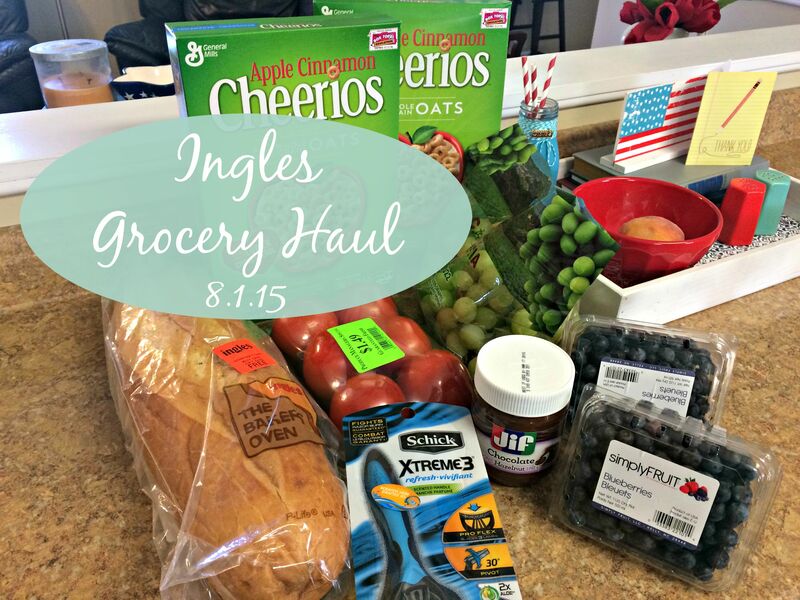 for $2; Extra virgin olive oil 17 oz for $4; 1 lb quinoa $1…and more. I went to every Winn Dixie (several times over the course of a few weeks) and told all my family and friends about the clearance sales, too. It’s fun when other shopper/savers rejoice with you over your good finds. You get it honest! It’s a great feeling to use the money the Lord’s given to its best possible use, isn’t it? I did great at Ingles last week, buying $1 batteries and their women’s razors. I thought I got a great deal at $2, but you beat me on that one! Wow! I saved as much as I spent, so I walked out with my head high! 🙂 Great tips! Happy shopping!